OK, here’s the countdown until my launch on February 19…Just some things to share about The Mom Who Took Off On Her Motorcycle. 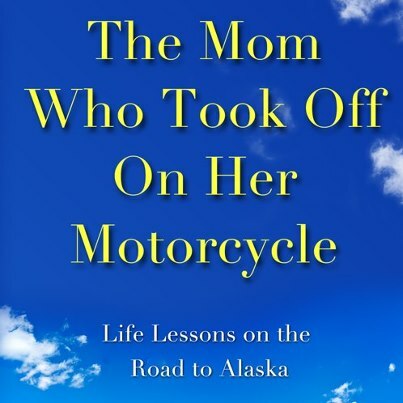 I’m also happy to announce my booklet, The Mom Who Took Off On Her Motorcycle…Takes On Your Kids. Did you ever want a simple list of DO’s and DON’Ts to make your life as a Mom easier? Here it is! Practical, simple suggestions for you to follow. And it’s free! Just hit drop me a line and I’ll send you it absolutely free of charge! The Mom Who Took Off…Takes On Your Kids. Why am I sending that booklet free? Because I wanted to pass on some of the tools I learned over the years to make another mother’s life easier! And while we’re on the subject of making life easier…Holly Rosen Fink wrote a great piece on why mothers should take solo trips here in her great blog Culture Mom. My trip wasn’t solo but I did fly the coop. What do you think on this subject? Let me know! Finally, thought of the day: If you can’t go in through the front door, try a side entrance. That’s what heroes always do. http://www.facebook.com/DianaBletter to enter the contest to win a free paperback of THE MOM WHO TOOK OFF ON HER MOTORCYCLE. Drawing is February 19, 2013. This entry was posted in Writers, Writing, Your Best Chapter and tagged Family, Home, Jeffrey Moussaieff Masson, June Cleaver Nirvana, Mother's Day, mothers, parenting, self-publishing, United States. Bookmark the permalink. I can’t vote, Diana. On the one hand, I have a friend whose mother left the kids and decided to go to college (in another city, and live in an apartment) and it may have been great for the mother, but the kids are parents and grandparents now and still can hardly talk about it. So I guess a lot would depend on the kids’ ages, the provisions she makes for them, etc. On the other hand, I have THE MOM WHO TOOK OFF ON HER MOTORCYCLE on my Kindle, and Jeffrey Masson is absolutely right. Well done, Diana! This is an excellent read. Thank you, Marylin! Your opinion means a lot to me. And you’re right, my question is WAY too general–I just thought I’d put it out there. Thanks again! I’m delighted you’re enjoying the book.